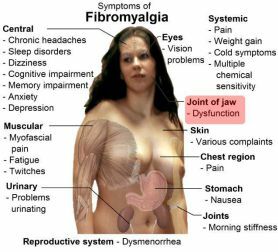 Many people that suffer the disease that is Lupus also have to contend with Fibromyalgia. Having had Lupus antibodies and all the symptoms of full blown Lupus and also now having a diagnosis of Fibromyalgia, I am not sure which is the lesser of the evils. Both illnesses are hideously debilitating, painful and frustrating in equal measure. Can anything be done to alleviate the strain of constant chronic pain and even send it into some kind of remission? The answer for some will be yes. Although I have diplomas in Herbalism and Aromatherapy I still struggle, big time, to keeps these illnesses at bay. Particularly when life is throwing situations head on that can cause stress and anxiety. It is difficult to help yourself, What doctor will treat themselves if chronically ill? It is always correct to seek help. I choose natural help and find that it is the solution to keeping relatively good health and to be able to maintain a near normal life style even while coping with the condition. We can do this without heavy drugs! Herbal medicine is powerful and needs to be treated with the utmost respect. The secret, I feel, is to take control and responsibility for your own illness. You are the one that knows best how you feel and therefore you are your own best advisor. However effort needs to be taken to do the research and seek the correct help. I am giving a few links here to a few people that have websites and media presence that can really help.